Elizabeth Lavenza hasn't had a proper meal in weeks. Her thin arms are covered with bruises from her "caregiver," and she is on the verge of being thrown into the streets . . . until she is brought to the home of Victor Frankenstein, an unsmiling, solitary boy who has everything--except a friend. Victor is her escape from misery. Elizabeth does everything she can to make herself indispensable--and it works. She is taken in by the Frankenstein family and rewarded with a warm bed, delicious food, and dresses of the finest silk. Soon she and Victor are inseparable. But her new life comes at a price. As the years pass, Elizabeth's survival depends on managing Victor's dangerous temper and entertaining his every whim, no matter how depraved. Behind her blue eyes and sweet smile lies the calculating heart of a girl determined to stay alive no matter the cost . . . as the world she knows is consumed by darkness. 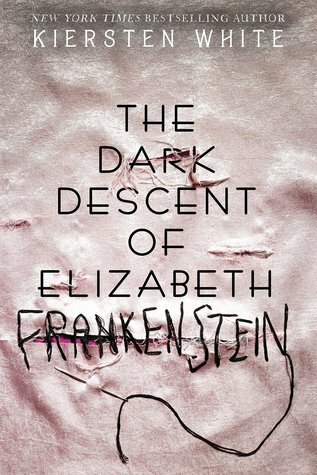 Kiersten White is the New York Times bestselling author of many books for teens and young readers, including And I Darken, Now I Rise, Bright We Burn, The Dark Descent of Elizabeth Frankenstein, and Slayer. She lives with her family near the ocean in San Diego, where she perpetually lurks in the shadows. Visit Kiersten online at KierstenWhite.com and follow @KierstenWhite on Twitter.